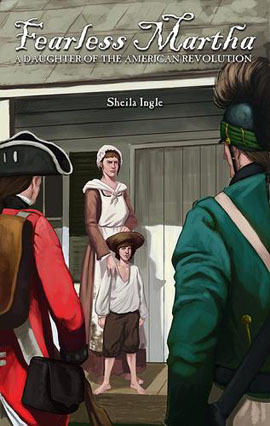 I hope you will use it to find out more about my writing and the Revolutionary War. I have fallen in love with this period of our history, because of all the stories I have read about the men, women, and children who fought for our freedom. Since I am a South Carolinian, I have focused more on the Southern Campaign in my studies. Over and over, I have read snippets about the lives of many heroines who stood down their enemies on their porches and in their front yards. 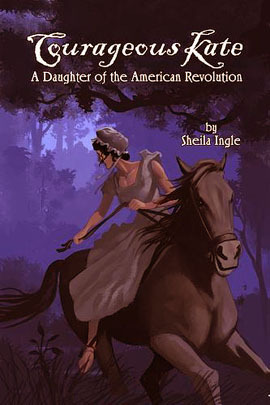 These heroines, like Kate Moore Barry and Martha Bratton, were ordinary women who did extraordinary things during the American Revolution. Kate has been called the “female Paul Revere” for sending the local militia to fight with General Daniel Morgan at the Battle of Cowpens. Martha refused to tell Captain Christian Huck the whereabouts of her husband, and this British officer and his men were subsequently defeated at the Battle of Huck’s Defeat. While defending their homes and families, both exemplified courage and patriotism on a daily basis. Their stories are significant and worth remembering.